Before I dig into our technical experiences, I’d like to explain why baked badges and evidence is so important to us. We work mostly with school age learners. They are getting plenty of skill assessment and certification via all the standardized testing that goes on nowadays in schools. Through badging, we have the opportunity to capture learning as it happens. We can support learners (1) reflecting on their learning experiences, (2) planning for future learning activities and (3) take ownership of their overall learning. These badges that capture authentic learning experiences are especially important because they increase value overtime. Let’s say that a learner who attended maker party took part in the activity offered by Level Up and built a mechanical hand with straws and string. Later when they are in high school, they apply for an internship at the Adler Planetarium. In their essay for the application, they include a description of how their interest in science, space and robotics has developed over time. They include links to badges of some of the key activities that influenced them, including the badge with a picture of them as an 8 year old smiling and holding the robotic arm they made. This same badge has even more meaning as part of a timeline when they apply to M.I.T. or perhaps even for a faculty position at university. In order for that badge to be available 10, 20 or 30 years from now, we need to create the technology now to support badges that last for long term. Any badge that relies on a url or a website, will not be available for the long term. Baked badges with evidence are an import component for supporting lifelong learning. 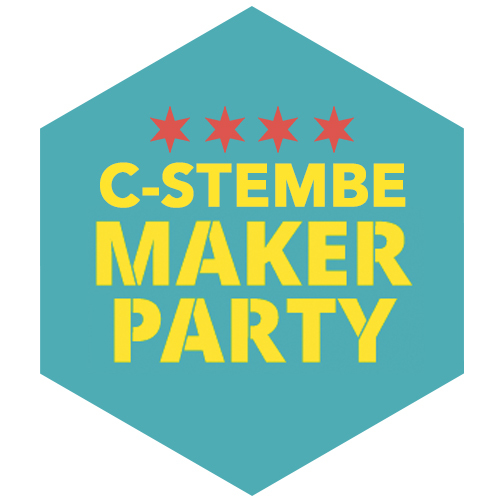 We created one C-STEMBE Maker Party badge that everyone who registered their account would receive. At at the C-STEMBE stations, the learner could also receive a badge for completing that activity. Each of those activity badges could have one or more evidence photos attached. 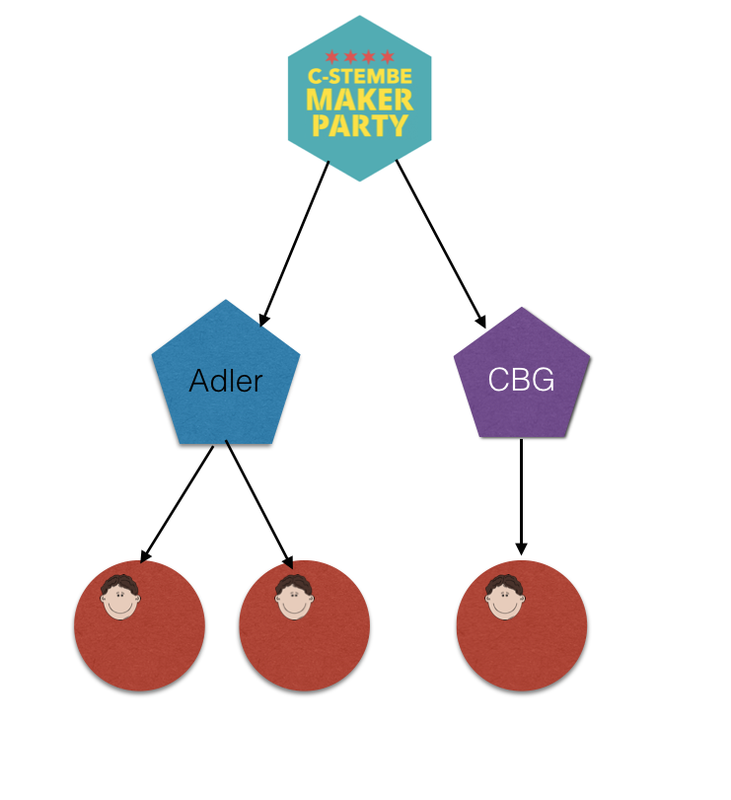 Below is a diagram with the Maker Party badge that has two evidence badges, two activity badges, one with two photos as evidence and one with one photo as evidence.